(TibetanReview.net, Jul22, 2017) – The Central Tibetan Administration (CTA) at Dharamshala, India, on Jul 21 organized a public prayer service for the Chinese Nobel Peace laureate Mr Liu Xiaobo who died on Jul 14 due to live cancer. The moderate 1989 Tiananmen Square protest activist was jailed for 11 years in 2009 for “inciting subversion of state power” after presiding over and helping to write a petition known as “Charter 08” which called for sweeping political reforms, including urging the Communist Party of China to give up its monopoly on political power. Sikyong (President) Lobsang Sangay of the CTA called Liu’s death the loss of one of the greatest champions for democracy, protection of human rights and freedom in China. And he said Liu was among the first Chinese intellectuals to openly support genuine autonomy for Tibet. He said: “Liu had been a long time supporter of Tibet. 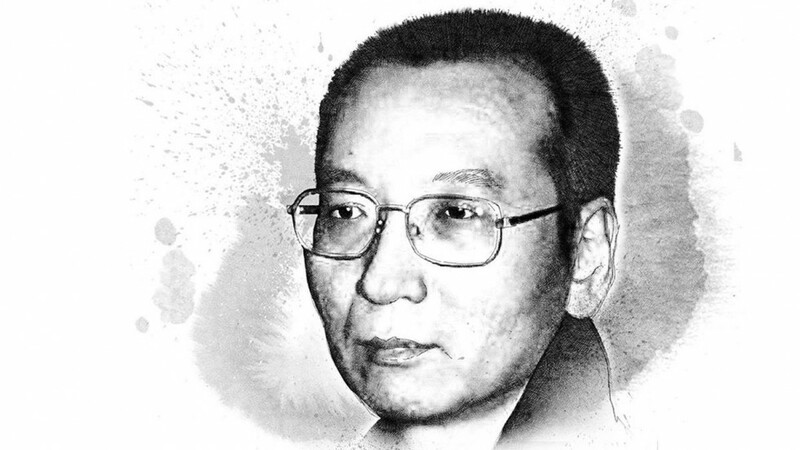 He was perhaps the first Chinese intellectual to be sentenced for speaking up for Tibet. In 1996 he was sentenced to three years in a labour camp for writing a joint letter, to China’s former President Jiang Zemin, supporting Tibetan self-determination and dialogue with His Holiness the Dalai Lama. In March 2008, in the aftermath of the Tibetan uprising, he co-authored and signed the ‘Twelve Suggestions for Dealing with the Tibetan Situation”. 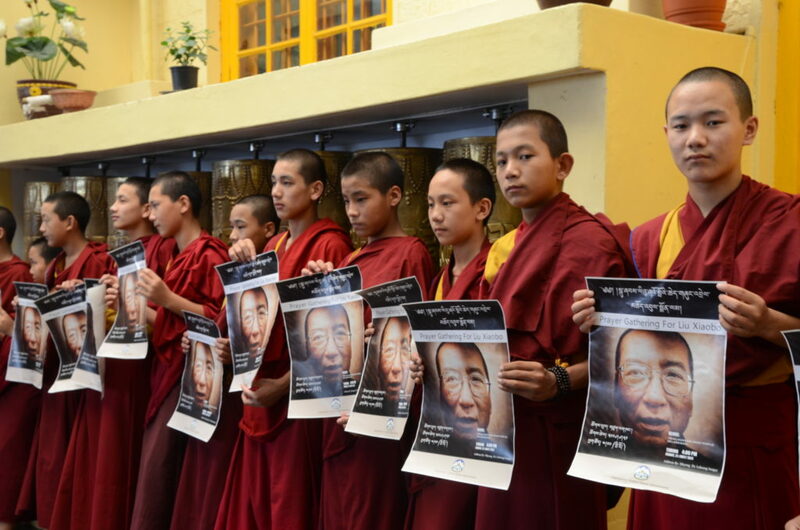 Hundreds of Tibetans took part in the prayer service, with many of them holding a picture of the Late Nobel Peace laureate. Liu was shifted to a hospital in June after being diagnosed with late-stage liver cancer the month before, but not freed. He passed away in the same hospital after being denied permission by China to be taken abroad for better treatment and palliative care.